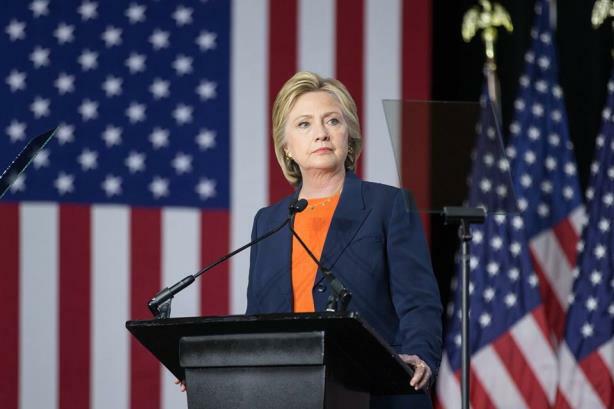 If the members of PRWeek's Global Power Book 2016 represented the US electorate, they would vote into office Democratic presidential candidate Hillary Clinton by an overwhelming margin. Those who expressed an opinion mainly went for Clinton over Trump, but many others bemoaned the quality of candidates, and some even went for fictional characters. Despite opinion polls showing a potentially tight race between Clinton and Republican nominee Donald Trump, 129 of the 334 Global Power Book respondents to this question said Clinton should be president. Only eight plumped for Trump. "Hillary Clinton should be the next American president," said Aedhmar Hynes, CEO of Text100 Global, who said reputations "can’t get much worse than the Republican Party during the 2016 primary". Brad MacAfee, CEO of Porter Novelli, said: "I’m not certain the person who should be the next American president is in this race. That said, it is time for our country to look to a woman to lead it." Twenty PR chiefs did not identify themselves as Clinton supporters per se, only that anyone but Trump should be president. The few who supported Trump included Lord Bell, chairman of Bell Pottinger, and Chris McLaughlin, chief marketing and external affairs officer at Inmarsat, who said: "Trump, to shake up the elites." Jon Walsh, senior manager, global comms at Infiniti Motor Company, said: "Politics needs a reboot; bring on Trump." Both presidential hopefuls have some of the worst favourability ratings for a presidential election. Global Power Book members also expressed dissatisfaction with the options, with 60 naming celebrities, current President Barack Obama, out-of-the-running contenders, or even fictional characters instead of the two who are vying to be the next leader of the US. They included Netflix series House of Cards' Claire Underwood and President Josiah ‘Jed’ Bartlet from The West Wing. The show had its final season a decade ago, but Bartlet had the most votes – six – of the fictional characters. Others looked outside US borders. Barri Rafferty, senior partner and CEO, North America at Ketchum, said: "As everyone jokes about running to Canada, I continue to wish Prime Minister Justin Trudeau were running for office here. I admire his contemporary approach to the issues."